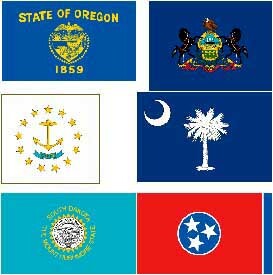 Not all state flags are the same! Extra care is taken in making these flags. Designs are researched to make sure that they are authentic and sturdy fabrics are used so that they can be flown outdoors, indoors, or carried in parades. 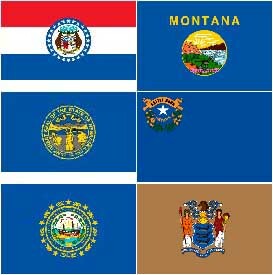 Shown below are the fifty State and five Territory Flags of the United States. 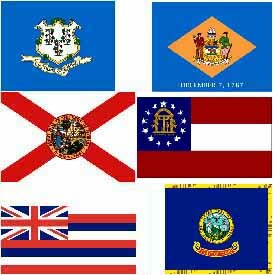 Click on the State or Territory name below to view a larger image of the Flags. 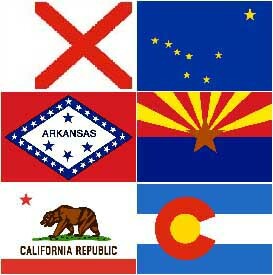 The date of the admission of each state to the Union follows the State name. 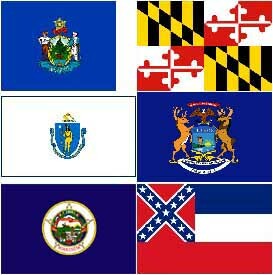 Select State & Size here. Washington, D.C. The Residence Bill of July 16, 1790, established a site along the Potomac to be the capital. 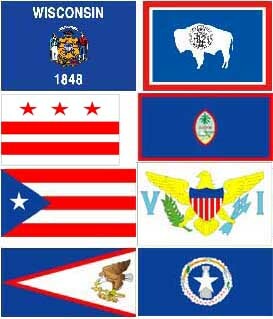 This federal district was first called the Territory of Columbia and the federal city the City of Washington. 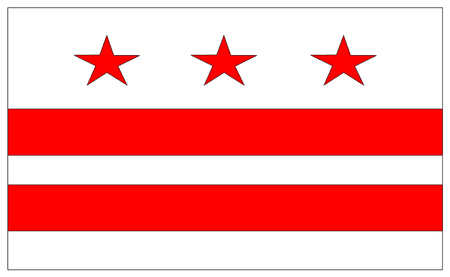 The name changed to the District of Columbia in 1793. 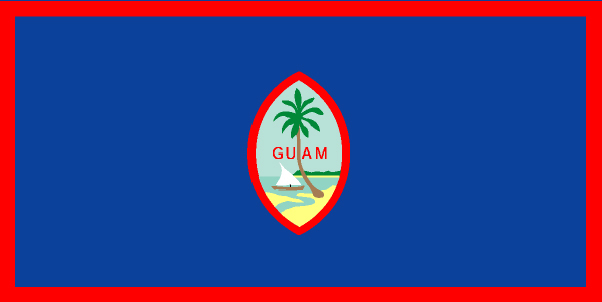 Guam Guam was ceded to the United States by Spain in 1898. 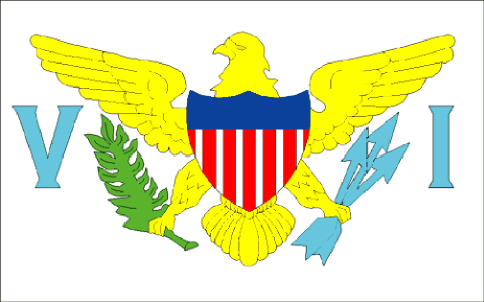 Virgin Islands Divided into two territorial units, one English and the other Danish. In 1917, the United States purchased the Danish portion, which had been in economic decline since the abolition of slavery. 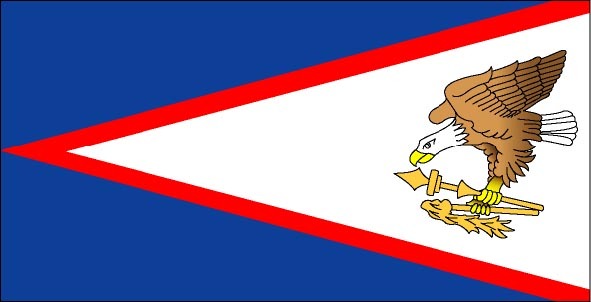 American Samoa International rivalries in the latter half of the 19th century were settled by an 1899 treaty in which Germany and the United States divided the Samoan archipelago. 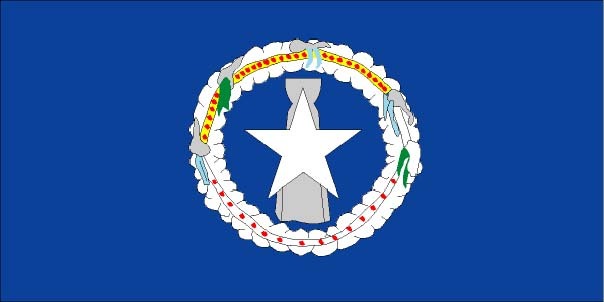 Northern Mariana Islands Negotiations for territorial status began in 1972. 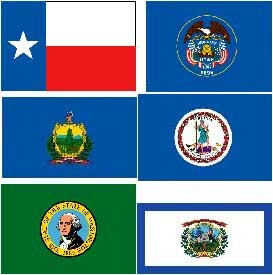 A covenant to establish a commonwealth in political union with the United States was approved in 1975. 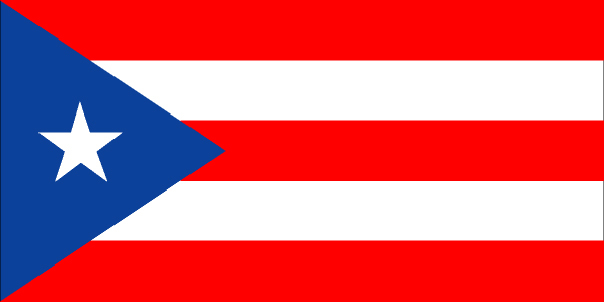 A new government and constitution went into effect in 1978. 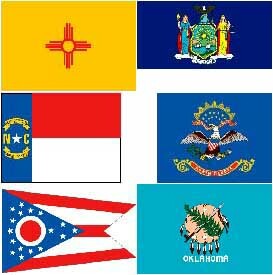 Select State or Territory & Size here. 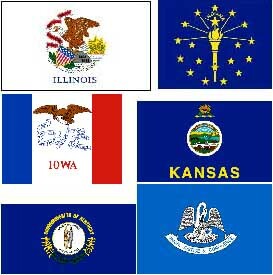 We're located north of the "Windy City" of Chicago, so this Flag is near and dear to us here at the "Depot". 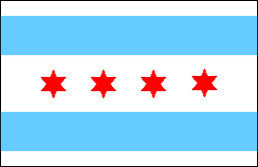 The Chicago City Flag that we offer here is made of 100% heavyweight nylon that is lustrous, with superior wear plus excellent flyability even in the slightest breeze. Features no shrink white header with brass grommets.